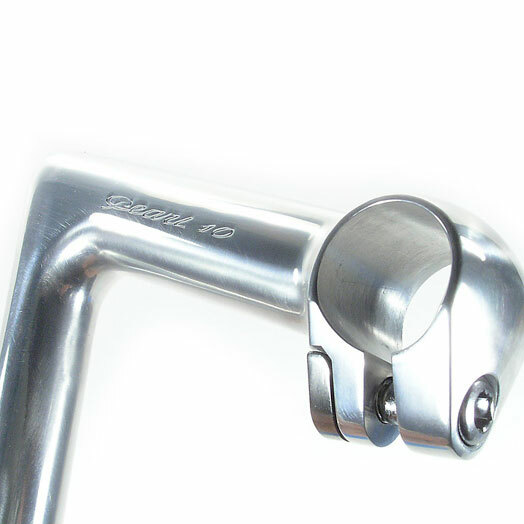 Nitto’s Pearl is the ultimate forged alloy quill stem. Beautifully made and finished in Japan. Suitable for any classic steel framed bike. A few years ago it was almost impossible to get a tradition quill stem. Cinelli had stopped producing theirs and there was practically nothing else on the market. It was then after spending a long time searching we came across Nitto. All their products are made in Japan and are the best qualtiy available.